A Wall Street Journal bestseller book from acclaimed author David R. Stokes. The Shooting Salvationist chronicles what may be the most famous story you have never heard. 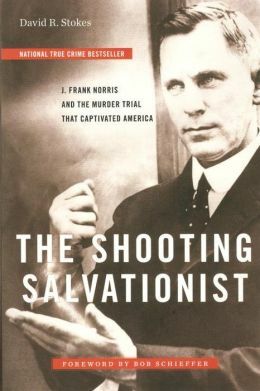 In the 1920’s, the Reverend J. Frank Norris railed against vice and conspiracies he saw everywhere to a congregation of more than 10,000 at First Baptist Church in Fort Worth, Texas, the largest congregation in America, the first “megachurch.” Norris controlled a radio station, a tabloid newspaper and a valuable tract of land in downtown Fort Worth. Constantly at odds with the oil boomtown’s civic leaders, he aggressively defended his activism. Little Studio Films is developing the book into a mini series for Television in partnership with David R. Stokes.